AN-326-X3X1 is an Optical fiber switch that offers 2 port 10/100Base-FX optical fiber and 6 port 10/100Base-Tx Copper. 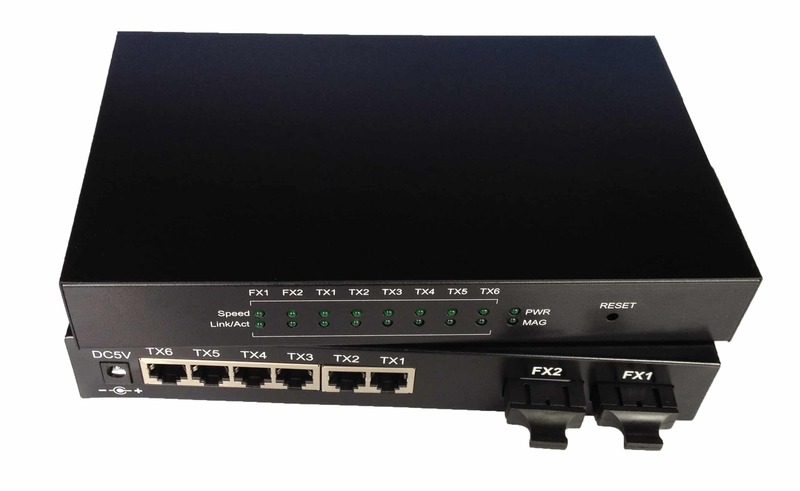 The AN-326-X3X1 is an Optical fiber switch that offers 2 port 10/100Base-FX optical fiber and 6 port 10/100Base-Tx Copper. It supports both Single optical fiber and dual optical fiber, its transmission distance ranges from 2km to 120km. This optical fiber switch works under full-duplex mode. It supports the STAR network topology and it is an ideal option for fiber to home (Ftth) optical fiber solution, city optical fiber networks,etc.